Let’s bring both convenience and elegance to your kitchen by using the following freestanding paper towel holder with storage shelf. 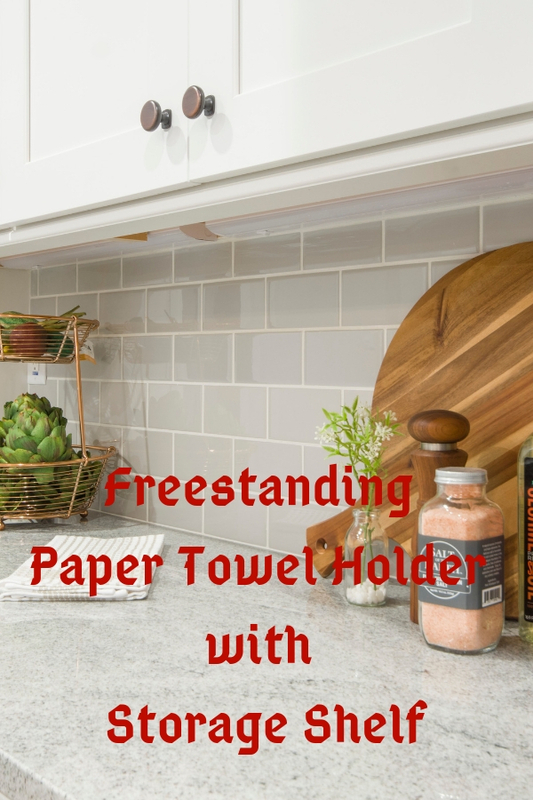 It helps you organize spice jars yet in easy to access way at the same time it holds a roll of tissue. You’ll battle messes on your kitchen countertop while saving drawer space. If you would like to utilize an organizer for holding bigger containers, small dinnerware or food cans in kitchen, the third and fourth options in this page are the ideal pick. They are multi-layers storage shelf rack attached a kitchen tissue dispenser on top or beside the rack. Alternative, the last option in this page is the best choice if you need a lightweight portable organizer to be used in a party or gathering for serving your guests. It comes with four compartment mesh rack for holding a roll of paper towel, plate napkin as well as flatware or utensils. You may consider to partner it with a Christmas paper towel holder that features a lovely snowman if you are hosting a holiday party.